Irish people know an excellent mid-sized SUV when they see one – which explains why there is so much demand for this. It is roomy for families, has smart looks and is easy to maintain on the road thanks to some frugal diesel engines. 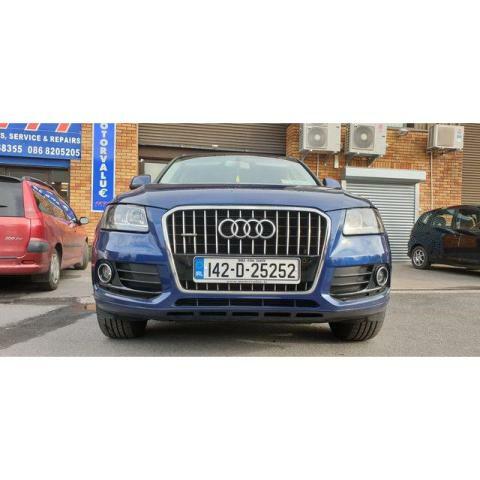 This slots in between the Q7 and Q3 and is ideal as an all-rounder. Despite looking similar to the Q7, the Q5, being smaller, is a lot easier to manoeuvre and park. The comfortable and well-designed cabin is neatly laid out. All parts look and feel high-end and durable. There is little road or wind noise. It’s not built especially for off-roading, but it does have decent capabilities. However, it is more targeted at the customer who wants a mid-sized family SUV that is great on the road, has an elevated driving position, plenty of room and loads of ability, when needed, to cope with poor underfoot conditions.